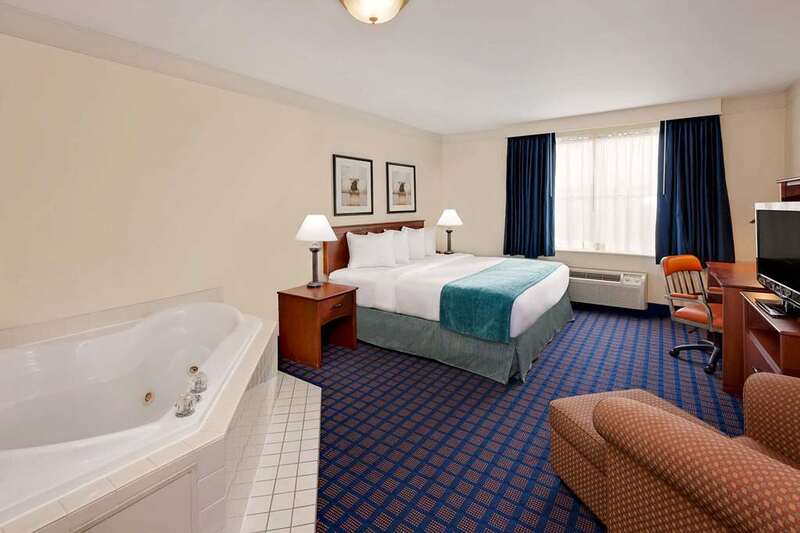 Conveniently located off Route 131, this Baymont Inn and Suites Grand Rapids SW/Byron Center is near Gerald R. Ford Airport, Gun Lake Casino, Grand Valley State University, Aquinas College, Cornerstone University, the Gerald R. Ford Presidential Library and Museum, Rivertown Crossings Mall, and many local restaurants. Experience hometown hospitality at this smoke-free lodging with complimentary continental breakfast, complimentary Internet, 24-hour gym, indoor pool, hot tub, laundry services, on-site restaurant, and meeting room. There is no charge for children under 17 when staying with an adult. Guest room amenities include coffee maker, desk and flat-screen TV and refrigerators. Suites and handicapped-accessible rooms are also available.